He had been talking to one of their marquee partners who had no idea what their sponsorship objectives were other than “increase new customer sales”. Their marketing programs were all over the place and their approach really was a spaghetti mix of activity hoping to achieve an outcome. It was a fair question to ask because we all know that setting objectives is the foundation but you want to avoid a situation where you think you have, for example, increased sales, but the sponsor doesn’t think they have increased by enough. As a sponsor, you need to be very clear about what success looks like because a simple goal of “increased sales” is not good enough. That’s because, and I’m going out on a limb here, that if a sponsorship delivered you $1,000 worth of new customer sales, but the sponsorship cost $5,000 plus execution costs, that you wouldn’t be deeming it a success. As such, when talking to rights holders, it is important that you set goals for each objective. That doesn’t mean you need to go to the first meeting with your goals written in stone because it is OK to work through this process with a rights holder. You should, however, be familiar with your business plan, budget and marketing plan as these will give you useful guidance. In setting goals under each objective you should use the tried and tested S.M.A.R.T approach i.e. 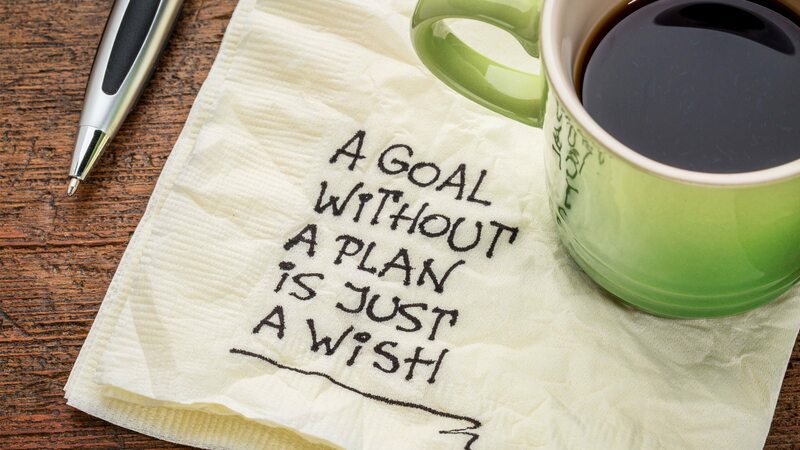 your goals should be Specific, Measurable, Actionable, Reasonable and Timetabled. If you aren’t familiar with the objectives that a sponsorship generally offers, read our aligning benefits to objectives blog series here. Let’s continue down the path for the objective of “Increasing new customer sales”, which would fall under the Generate Sales objective, and work through the S.M.A.R.T. acronym to create a best-practice goal. You need to create a specific goal; one that is clear and not ambiguous and it shouldn’t include fluffy words. So, don’t set goals such as “More business” because this could mean new clients, retaining clients or cross/up-selling clients. Instead, be specific. For example “Increase new customer sales”. There is no point partnering with someone if you have no way of measuring success around each of your goals under each of your objectives. This doesn’t have to be a straight ROI measurement as there are many ways of determining the success of a partnership. However, you need to be able to measure it, for example “Increase new customer sales by 15%”. Remember, it also isn’t about simply putting a number in the goal. Irrespective of the number, does your business have the reporting systems in place to tell you what business is new and by how much? This is probably the element where discussion with a rights holder is most valuable because it will be the combination of their benefits and skills and your resources and ability to activate that determines if you can take the appropriate action to achieve the goal. Closely following the actionable element is what your expectations from the partnership are. I have seen businesses in the past take up major sponsorship opportunities at main stream sporting organisations in a last ditch attempt to trade out of trouble by waiving some magic sponsorship wand. That’s not reasonable. Good sponsorships develop over time and your outcomes will follow that trajectory if you set reasonable goals and commit to the relationship. For example, if you have been able to increase new customer sales by 12-14% over the past few years then 15% is reasonable. 50% isn’t. This is as simple as setting a deadline date for the achievement of your goal. For example “Increase new customer sales by 15% by June 2017”. However, if it is a long-term partnership with a distant date then you should consider setting smaller milestones and measure to ensure you are progressing well and can adjust if needed. There may also be elements of the partnership that are part of a standalone campaign or integrated into your other marketing. Also, you will never see a sustained campaign, over a long period of time, have as much impact as a well-timed and well-aligned campaign speaking to an engaged audience at just the right moment. One of the major benefits of sponsorship is the ability to reach an engaged audience, however, even that audience isn’t engaged 100% of the time. Be mindful of this and work with your rights holder around these opportunities to activate and plan your sponsorship engagement. Overall, that means you may have multiple goals under various objectives. Remembering that our objective is to Generate Sales, let’s take a look at our goal. “Increase new customer sales (S) by 15% (M) by June 2017 (T)”. Considering the history of increasing new sales, we can see that 15% is reasonable (R) and you have discussed and agreed you both have the resources achieve the goal (A). Sponsorship is truly a partnership. We have been speaking for a long time about rights holders being prepared to align benefits with objectives, however, brands (sponsors) need to be prepared for success too. That can more easily be achieved by applying the S.M.A.R.T. model to your objectives and working with your rights holder around pulling it all together with a vision to achieving those mutual outcomes.